As someone who lives only a few hours from their Topeka, Kansas headquarters, I have twice seen Westboro Baptist Church protesters in action. 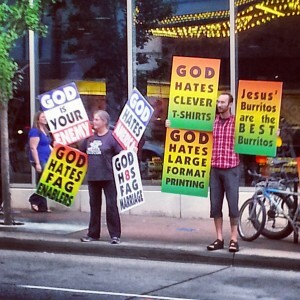 The group is probably best known for their ‘God Hates Fags’ signs posted visibly at public events. Their theology — as one might guess — centers on the idea that America is a cursed nation because it has tolerated homosexuality, a boundary breach that inexplicably spills over into a variety of other social venues that they also criticize. The first time I saw them was four or five years ago when they lined the streets surrounding a large high school near my home; they were there in response to the student body’s election of an openly gay prom king. The second time was just a couple of years later, at a Bon Jovi concert, wherein the throngs of concert go-ers were told in no uncertain terms about what the conditions of their collective afterlife will be like. 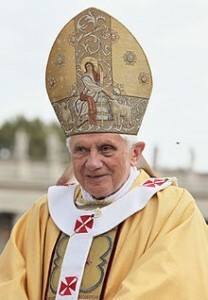 In this post-Charlie Hebdo era, satirical media outlets now seriously consider questions about the limits of respect, humor, and religion, in particular, and so it is interesting that while even the most recent Pope drew the proverbial line between humor and religion when asked about the Charlie Hebdo case, virtually no one has stepped up to draw that line for Westboro Baptist. In other words, it is interesting to ponder why no one minds humor at the expense of Westboro Baptist’s protesters when it is otherwise a heated philosophical debate when we discuss other groups. 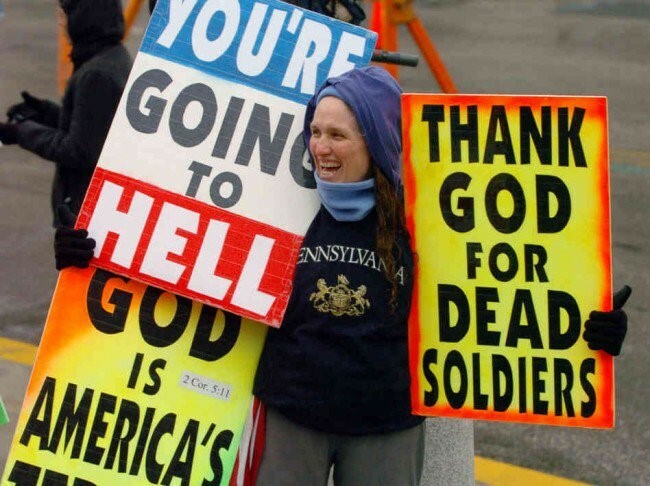 We might say that Westboro is sufficiently “different” from other groups, but a closer look reveals that they are actually quite similar to many Christian fundamentalists in the US that otherwise go uncritqued or are even revered: they claim to be Biblical literalists, embrace rather mainstream Christian beliefs, are vociferously anti-gay rights, believe in a deity who is judgmental before loving, and generally believe that their moral worth — and thus eternal fate — are dependent upon their proper execution of certain behavioral practices, holding certain beliefs, and proclaiming these to others. Nothing about them is, in other words, particularly unique or interesting when examined from this more spacious perspective. 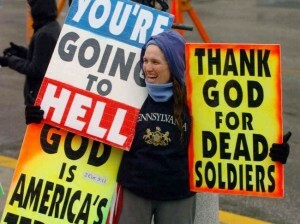 Others might be tempted to say that they are different because they more abrasive than most groups, but since Westboro Baptist hasn’t killed anyone, this is hardly a defensible position when we compare them to the Charlie Hebdo attackers, whose murderous behavior provoked questions on religion, humor, and dissent in the first place. No, what the case of Westboro Baptist’s anti-protestors reveals is that one of the most fascinating powers that social groups have is to simultaneously create and then mask inconsistencies for the sake of serving a particular political aim. I suspect that the Westboro folks are seen by many as ignorant but relatively harmless since they otherwise represent so many familiar things: they are white Christians living in small-town America who, while perhaps often offensive, are nevertheless somewhat “safe” in the sense that they are not brown, foreign, and they do not provoke any of the uncomfortable and complex discussions about cultural diversity and religious respect that our culture has had to consider in recent years. To be abundantly clear, my intention is not at all to defend the practices of Westboro Baptist church, but to simply demonstrate that this is an excellent case study in the way that the boundaries of identity are policed in wildly inconsistent, and inherently political, ways. 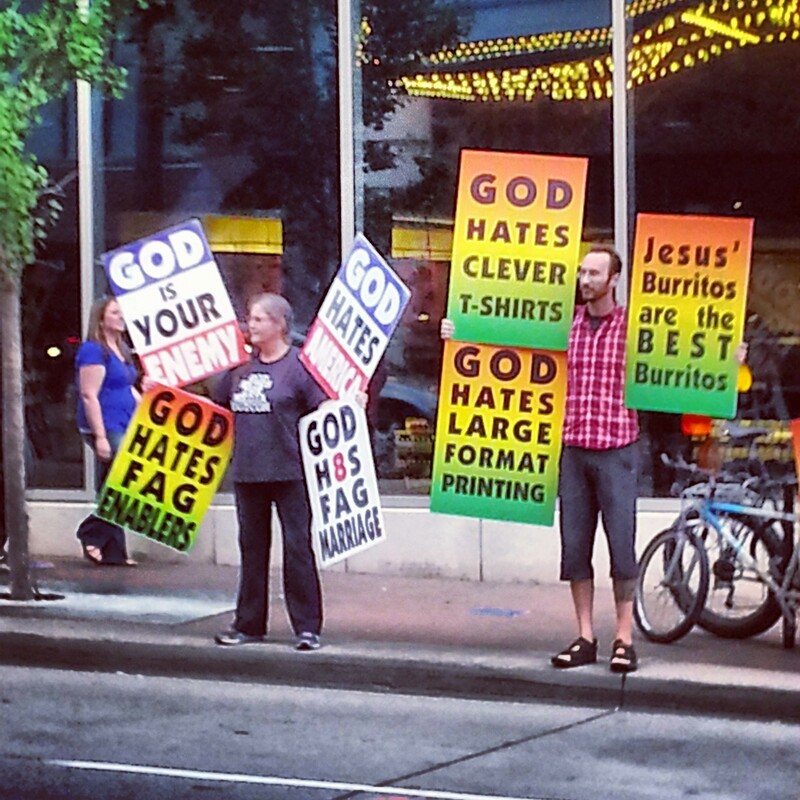 Whether Jesus’ burritos really are the best, then, has nothing to do with humor (for that is just the vehicle, after all), but with the work of difference and demarcation that, even though inconsistent, is necessary to both create and upkeep a dominant version of reality.